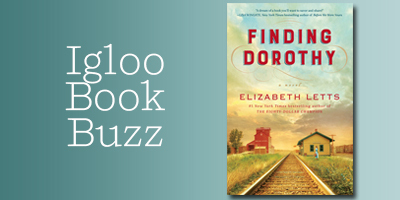 Anyone who has ever been swept up in the magical Land of Oz will enjoy reading Elizabeth Letts’ FINDING DOROTHY, our new Igloo Book Buzz selection. Published by Ballantine, this richly imagined novel tells the story behind The Wonderful Wizard of Oz, the book that inspired the iconic film, through the eyes of author L. Frank Baum’s wife, Maud. Turning back time to Hollywood, 1938: As soon as she learns that M-G-M is adapting her late husband’s masterpiece for the screen, 77-year-old Maud Gage Baum sets about trying to finagle her way onto the set. Nineteen years after Frank’s passing, Maud is the only person who can help the producers stay true to the spirit of the book—because she’s the only one left who knows its secrets. 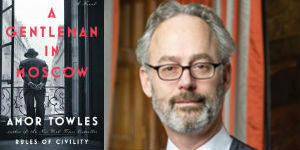 Letts’ editor, Susanna Porter, Vice President, Executive Editor, Ballantine, said, “We’re thrilled to be publishing Elizabeth’s third book with Ballantine, and amazingly, she has turned from writing two nonfiction bestsellers to producing this marvelous novel about the actual events and the people who inspired first the book and then the movie of The Wizard of Oz. Maud Gage Baum, wife of Oz author L. Frank Baum, is an unforgettable heroine. 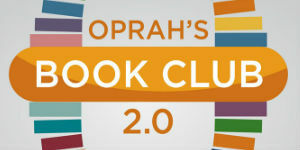 Following her and Frank’s path to finding the young girl who inspired Baum’s classic story is an unforgettable read.